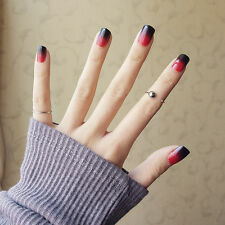 Unique Sunset Design. 2 Gram Nail Glue. Professional Air Brush Nail Kit. All issues Can and will be rectified until you are 100% Satisfied. 24pcs Artificial Nails. 12pcs Artificial Nails. 24pcs Diamond Nails. 24pcs 3D Nails. 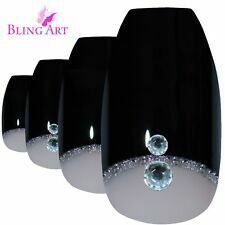 12pcs 3D Nails. 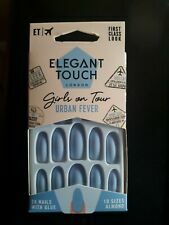 These nails are full cover false nailsFOR Adult. Apply nails in warm water for 5~10 minutes gently peel pre-glued nail from each finger from cuticle. Square/ coffin. False Nails -Hand Painted & Hand Shaped (3 coats of Qulity varnish). -Set of 10. -glue not included with this set. False Nails -Hand Painted & Hand Shaped (3 coats of Qulity varnish). -Set of 10. -glue not included with this set. 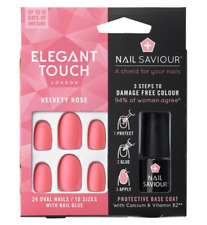 -Can be filed down or on the sides to fit your natural nail more accurate. 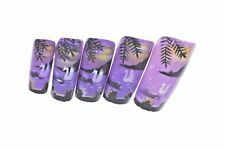 * All Nails are hand-painted and unique designs, so get them while you have the chance! • These are a perfect gift for someone you love or a perfect little treat for yourself! * The Nails are a classic stiletto shape • All Nails are average sizes varying from size 0-7 * Set includes 10 nails • They’re perfect for any occasion - Holidays, Parties, Weddings and much more * You can get many different themed nails including Disney, Christmas, Halloween, Glitter and much more! Just search the seller ‘Bethanywillox23’ in the search box or click on ‘other items from this seller’ and have a look at what I have on offer! • Get them at the great price of £3.25 and FREE DELIVERY!!! False Nails -Hand Painted & Hand Shaped (3 coats of Qulity varnish). 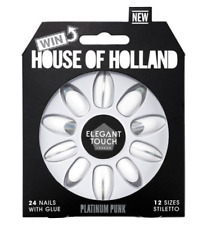 -Can be filed down or on the sides to fit your natural nail more accurate. -Set of 10. -glue not included with this set. Square/ coffin. 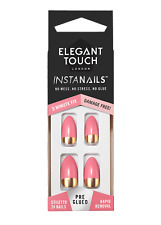 False Nails -Can be filed down or on the sides to fit your natural nail more accurate. -glue not included with this set. -Hand Painted & Hand Shaped (3 coats of Qulity varnish). False Nails -Hand Painted & Hand Shaped (3 coats of Qulity varnish). -Set of 10. -glue not included with this set. 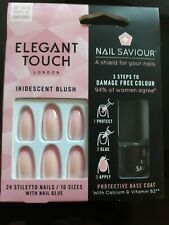 24 False Nails tips Matt Black Colour with Gloss Tip Includes Nails Glue. 24 nails in 12 sizes.